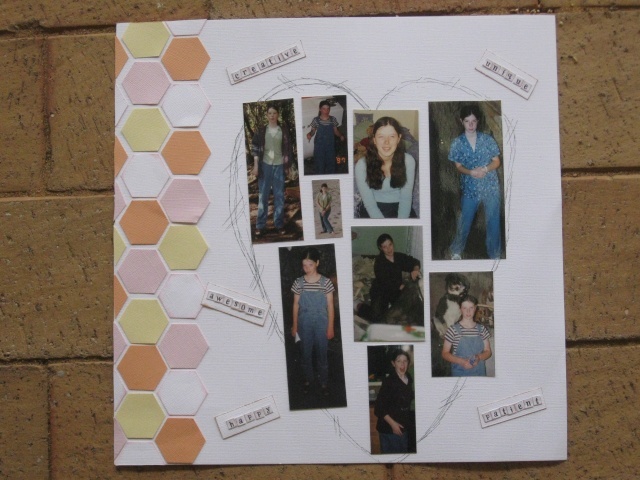 love this page Adrienne- love all the different elements from the hexagons to the heart to all the little photos in a collage. Awesome! What a great take on the board, Adrienne! Love it! That is so cute, I love the heart! very cool Chloe love how you used the patterned paper base. Clever! This is my second layout. I didn't have the photos for this one, so I've just used the only one I had of my 2 kids as teenagers. Fabulous take on the challenge, Gillian! 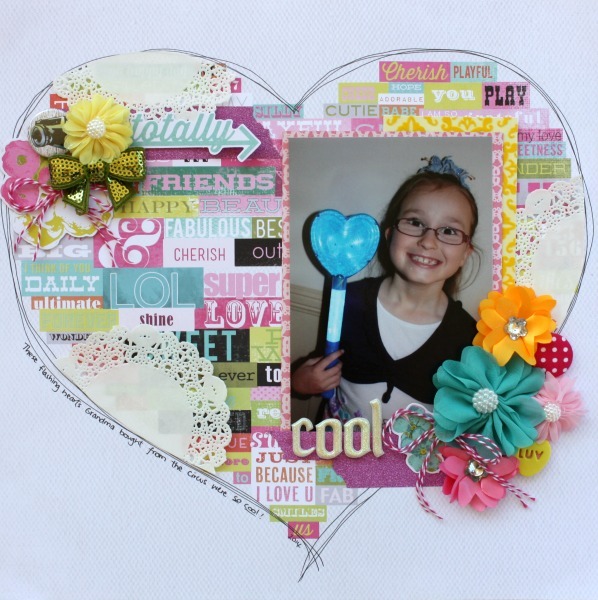 Love how you've taken elements from the board for your page!